"Mediate Don't litigateYour Divorce or Separation!" Divorce and separation in New York State is painful and difficult and even more stressful when couples choose to litigate and use a contested divorce process. Divorce and Family Mediation Center in Albany, New York is committed to providing compassionate and quality alternative dispute resolution "options" for your divorce, separation or other family matter. 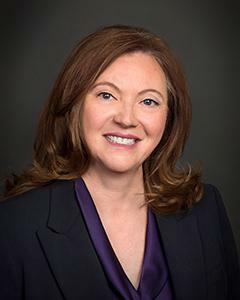 JoAnn Shartrand is the Founder of the Divorce and Family Mediation Center, and an experienced attorney mediator, who has been accredited by the New York State Council on Divorce Mediation. "My divorce-which was challenging, painful and nearly totally emotionally consuming, was brought to a civil and organized completion because of Jo Ann's expertise, clarity and neutrality. I'm grateful, Jo Ann, for the important part you played in facilitating both a completion and a commencement in my life." Ron R.
JoAnn Shartrand is an experienced Attorney and divorce mediator located in Albany and Saratoga, New York. She concentrates in all aspects of alternative dispute resolution processes for divorce, separation and family disputes. She has conducted over 800 successful mediations. Her practice covers every aspect of divorce and/or separation (parenting plans, support issues, financial issues and pensions). She offers ideas for solutions and addresses the specific needs and interests of each party, recognizing that every case is different. Her goal is to vary her process so that it works for everyone to successfully reach a resolution.